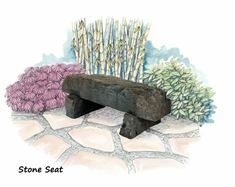 EZI-ROC® stone seats are an attractive addition to enhance your garden setting. Easy to place in your chosen location with flexibility to move from one area to another. EZI-ROC Stone Seats are available in the BASALT and SANDSTONE colour.